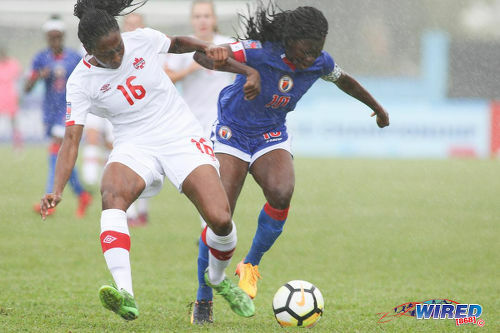 Roughly two dozen Haitian teenagers made history for the French-speaking islanders this evening at the Ato Boldon Stadium in Couva when Haiti booked their first-ever berth at a FIFA Women’s World Cup after a 1-0 triumph over Canada. It will be only the Caribbean nation’s second appearance in a FIFA tournament at any level since 1974. 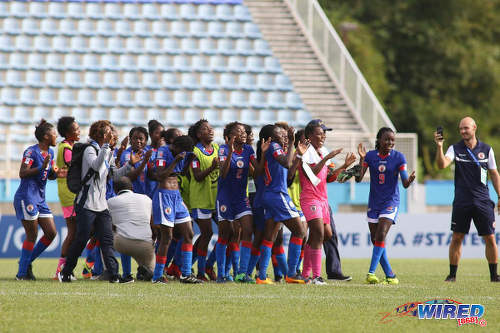 Photo: The Haiti Women’s National Under-20 Team celebrates after they secured their place at the France 2018 World Cup with a 1-0 win over Canada at the Ato Boldon Stadium in Couva on 28 January 2018. 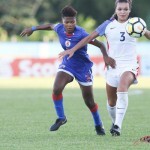 Haiti will join the United States and Mexico as the Confederation’s three representatives after the CONCACAF Women’s Under-20 Championship came to an exciting end in front of roughly 1,200 patrons this evening. In the tournament final, Mexico edged USA 3-2 on kicks from the penalty spot after both were locked at one goal apiece after regulation time. The Mexico women, who failed to score in either of their two CONCACAF Under-20 final appearances, were first on the score sheet this evening after a Dayana Cazares strike in the 33rd minute. But USA equalised three minutes into the second half with a header from star defender Tierna Davidson. Mexico succeeded in the shootout, though, to register another bit of history as “El Tricolor” secured a maiden title at this level. The three North American nations—Canada included—have largely monopolised the Women’s World Cup qualifying spots in this neck of the woods. But, after a lengthy spell in the doldrums, Haiti will now join them. Forty-four years ago, Haiti—then under President Jean-Claude “Baby Doc” Duvalier—got to the Germany 1974 World Cup after a controversial 2-1 win over Trinidad and Tobago in which the two-island republic, with players like Steve David, Everald “Gally” Cummings, Warren Archibald and Kelvin Barclay, had four “goals” disallowed. 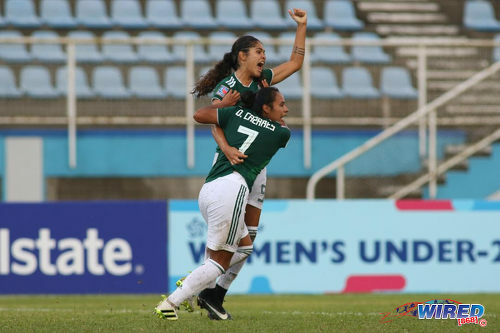 Photo: Mexico goal scorer Dayana Cazares (right) and Daniela Espinosa celebrate their opening item during CONCACAF Women’s U-20 action against USA at the Ato Boldon Stadium in Couva on 28 January 2018. 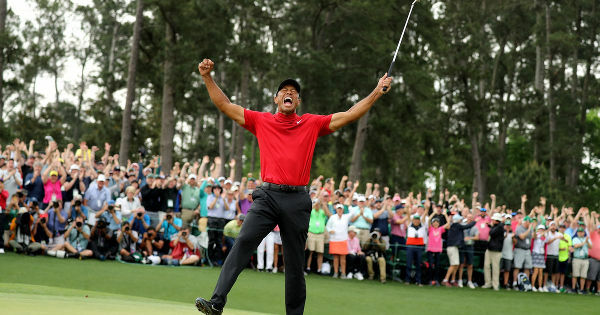 Today, however, all of that was water under the bridge as the small home crowd in the host nation vociferously supported their regional neighbours throughout. 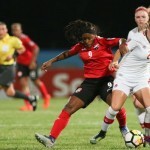 Just six days ago in the group stage of the competition, Canada had put a 4-1 whipping on Haiti—admittedly, a Haiti who fielded seven of their substitutes for that outing—while two years ago in Grenada, the North American nation had won 4-2 to edge the Caribbean nation out of a 2016 Women’s Under-17 World Cup place. 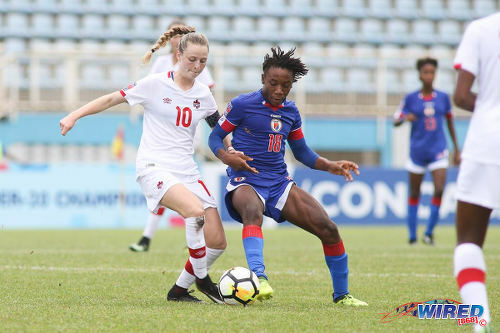 Haiti captain and forward Nérilia Mondésir emerged as one of this tournament’s most impressive individual talents—she was the top scorer in the CONCACAF Under-17 competition two years ago, mind you—and her form was always likely to be pivotal to her nation’s chances. But making that mean something was easier said than done as she found herself pitted against Canada’s gifted central defender, Maya Antoine. Over the 90-minute contest, Mondésir did not get so much as a look at the opposing goal with the graceful, athletic Antoine matching her stride for stride on almost every occasion. So Mondésir found another way to affect the outcome of the match. Photo: Canada defender Maya Antoine (left) stays close to Haiti forward Nérilia Mondésir during CONCACAF Women’s U-20 action at the Ato Boldon Stadium, Couva on 28 January 2018. In the 18th minute, the Haitian skipper dropped into the midfield area and, from near the centre circle, produced a brilliant incisive through pass that eliminated five Canadian defenders. Attacker Sherly Jeudy got on the end of the ball and finished with aplomb, smashing the ball into the roof of the net. “Let’s go, Canada, let’s go!” roared Canada’s travelling supporters, who consistently urged on their strangely subdued players. “Let’s go, Haiti, let’s go!!! !” the Ato Boldon Stadium’s “neutrals” responded with such gusto that the Haiti substitutes and coaching staff looked over the shoulders with wonderment and delight. Canada could not find an appropriate answer—on or off the field. Their prolific forward, Jordyn Huitema, could not get the right service or beat her wardens for pace while captain and playmaker Gabrielle Carle—who picked up an Olympic bronze medal in Rio with Canada’s senior team at just 16—found her path routinely blocked by Haiti’s 15-year-old midfield whiz, Melchie Dumunay. Little that Canada coach Beverly Priestman tried worked. In the 56th minute, Priestman replaced her midfield engine, Sarah Stratigakis, with the energetic Nadege L’Espérance. When Priestman offered Stratigakis a “high five” for her contribution, the player glared back at the coach as she would at someone who had just strangled her puppy. The high five became a low zero. 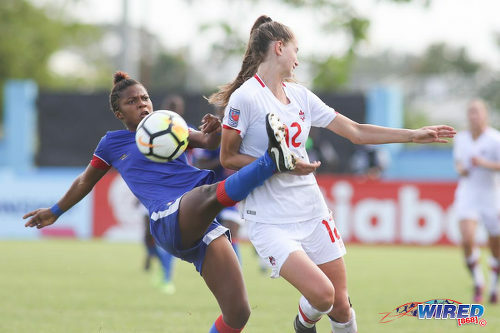 Photo: Haiti defender Napthalie Northe (left) makes a clearance as Canada forward Jordyn Huitema takes evasive action during CONCACAF Women’s U-20 action at the Ato Boldon Stadium, Couva on 28 January 2018. In the 82nd minute, Priestman sent on another attacking midfielder, Jessica De Filippo, in place of left-back Ashley Cathro. But De Filippo lasted all of six minutes before she was shown a straight red card for diving into a tackle with studs showing. All the while, the Haitians used every time-wasting trick in the book, allowing vital seconds to tick away. Mondésir and company were not interested in a moral victory; they wanted to go to France as one of the world’s elite football nations. And the final blast of American referee Ekaterina Koroleva’s whistle provoked memorable celebrations. It is difficult to overstate the difference between the Canada and Haiti head coaches. Priestman, just 32 years old, has already coached at Everton FC and New Zealand while she has steered Canada to two Under-17 World Cup tournaments in 2014 and 2016. By comparison, Collat’s record is underwhelming. 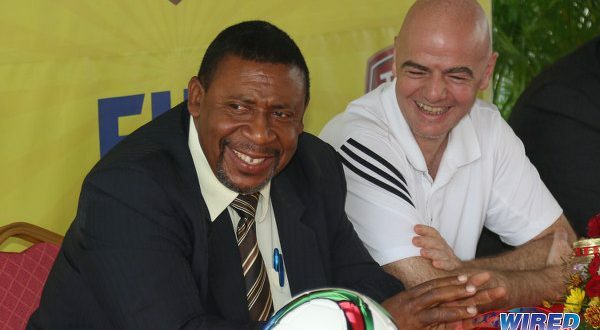 He never made it as a professional player and, although he worked with Paris St Germain as a scout and then as a youth academy coach, his biggest job as head coach before Haiti was in Mauritius, whose highest-ever ranking was a modest 112. Collat, incidentally, was not the head coach when that ranking was achieved. 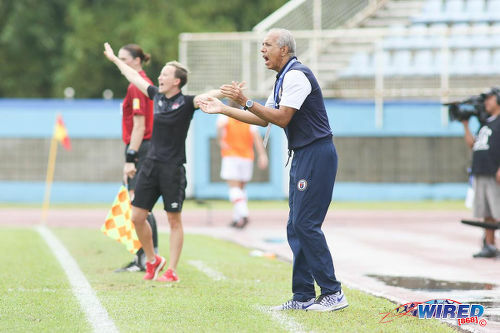 Photo: Haiti coach Marc Collat (right) encourages his team during CONCACAF Women’s U-20 action against Canada at the Ato Boldon Stadium, Couva on 28 January 2018. Before this tournament, he had never coached in a women’s game and he told Wired868 that, prior to arriving in Trinidad, the sum total of his experience with this Haiti Under-20 team was three weeks. Fortunately for Collat, Mondésir and company had been identified and polished by the Haiti Football Federation (FHF) long before he showed up and the Frenchman had only to add the finishing touches. Now, remarkably, Collat will return to his homeland in August as a World Cup coach. Mondésir, who plays professionally for Montpellier, will not be an unknown commodity in France. And, almost certainly, a few of her teammates will follow her into France’s professional football circuit. Photo: Haiti midfielder Melchie Dumonay (right, foreground) keeps close watch over Canada captain Gabrielle Carle during CONCACAF Women’s U-20 action at the Ato Boldon Stadium, Couva on 28 January 2018. More than two centuries after Haiti’s acrimonious severing of the umbilical cord linking her to France—which helped shape the Western Hemisphere—the islanders are heading back to Paris as equals—at least, on the football field. Today, the patrons at the Ato Boldon Stadium wished them bon voyage. On recent evidence, football in Trinidad and Tobago and Haiti are on vastly different paths. Next Dear Editor: Chutney has a place in Carnival no matter what Cro Cro says! Well done to Haiti…success and achievement in the midst of hardship and difficulty. The TTFA could learn a lot from them for our young ladies for future tourneys. Our girls are miles behind and need development in all facets to even stand a fighting chance. Lessons to be learnt. 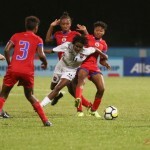 While responsibility for TT’s less-than-convincing performances can rightly be ascribed to the TTFA’s less-than-satisfactory – perhaps willing-but-not-able – handling of our football (coach selection included), I do hope that our young and upcoming women footballers learn from, are inspired by and adopt the success-driven attitudes and work ethic of the successful players and teams, especially Haiti, if they are to ever rise to the ranks of future World Cup or Olympic qualification. Congratulations to Haiti. Congratulations to Mexico, to me the best team in the tournament. Like I was saying; there was no shame in you guys losing to Haiti. It would be like England losing to Iceland or Wales. Yes, they have made strides and now recognized to be doing well. But at the same time, you are accustomed to defeating them. Admittedly not a perfect analogy since Haiti are now more better organized than we are as a football nation. My comments are based on Haiti’s historical football pedigree as opposed to their lowly financial status. The captain of the USA team that beat England in 1950 was a Haitian and they also reached the world cup finals in 1974 as a Caribbean nation. Some of their women play professionally in France now so they are seasoned pros. Getting past Canada is no mean feat..
Roger my comments were never based on finance and always football. If you read the story I noted that Haiti qualified for that world cup by beating Trinidad and Tobago in such dubious circumstances that the referee was subsequently banned for life. Haiti’s football pedigree doesn’t compare to ours and we have defeated them repeatedly for decades. But the tide has definitely been turned over the last five years or so. ..And the tide has also turned with Panama. And with the rest of the Caribbean, particularly in youth and women’s football.. But all these teams panama and Haiti are not more endowed with resources than we are ….so its simply in the foresight and application of their program …. in short our administration are idiots …. ..Panama has been making serious investments in their national teams and domestic football for two decades now. 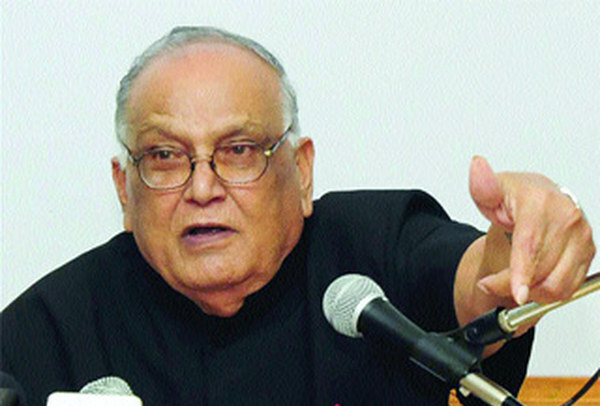 They have long been enjoying the results of that at youth level – particpation in several youth World Cups. 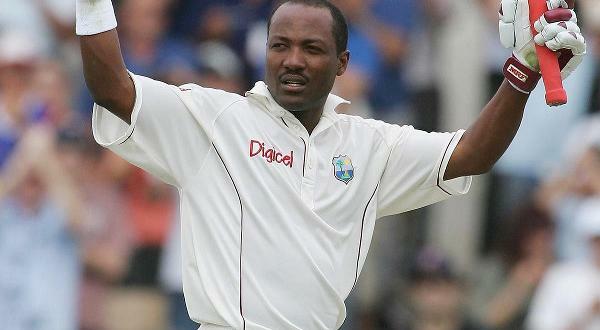 Now they are enjoying success at senior level as well. No magic in football..
Panama leave we out ah while now. Roger, check your facts there again. Joe Gaetjens wasn’t the captain of the US squad and whatever success he enjoyed was not reflective of the state of Haitian football at the time. Not only that, whatever the strides the men’s program enjoyed, the same could not be said about the women, who’ve always been dominated by the TnT women. So yes, maybe no “shame” in losing to Haiti, but given how the team actually capitulated after taking the lead, I’m given the relative histories of the respective programs, losing as the TNT women did was an absolute disgrace. Shame is based on self reflection on your performances if you know you didnt put out the effort you’re capable of …at that point it doesn’t matter who you play …also as a competitor I don’t support defeat as an acceptable outcome in any situation ….we don’t play the game aiming for a courageous defeat that ish only happens in movies backed up by an inspirational theme song …. snap out of it!!!! Not the first time since 1974. Haiti’s national under-17 football team made a World Cup appearance in 2007. Congrats to the Haitians!!!!!! Well deserved…… and Mexico over the US…. some good football for the tournament…. hope our powers at be recognize how much work we have to do, whilst we have some really talented young ladies, we need structure, tactics, fitness…. 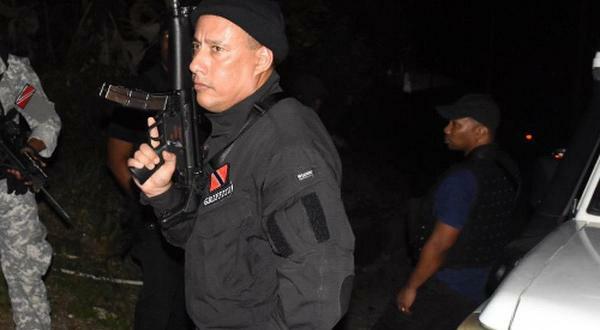 Doughty fighters, the Haitian girls are, as the Trinidad and Tobago side learned to their cost. I am in no position to offer a serious assessment of their football but, if heart counts for anything, we can expect them not to fall at the first hurdle. So happy for Haiti.. They did it organically too…. It was a good evening of football at Ato Boldon Stadium. 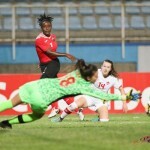 Canada came alive in the second half but Haiti had already built a wall of confidence that Canada could not break down. The time wasting by Haiti was blatantly obvious and they even got a yellow card for it. Goid luck to this team of youngsters they are small but very fast and confident.